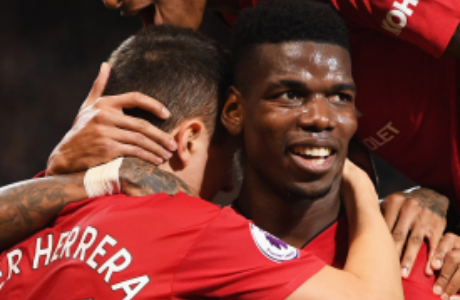 Manchester United are seeking motivated individuals to work throughout the busy football season at the iconic Old Trafford Stadium! Bar service staff will be required to work in the hospitality suites and dispense bars within the stadium. 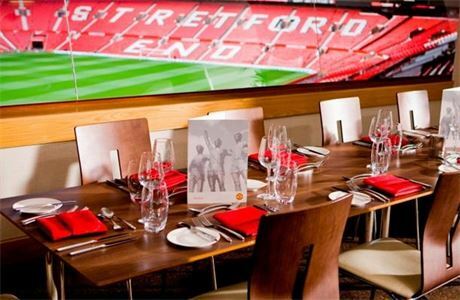 You will be working as part of team that is directed by the Room Manager or Supervisor, aiming to go above and beyond customer expectations to ensure that all customers have an enjoyable experience at Manchester United. A bar position requires a well presented candidate who is trustworthy and respectful and have a pleasant manner with a welcoming and cheery personality. You must have the capability of working on your own as well as part of a team. A good command of spoken and written English is essential to be able to communicate and interact with customers effectively. 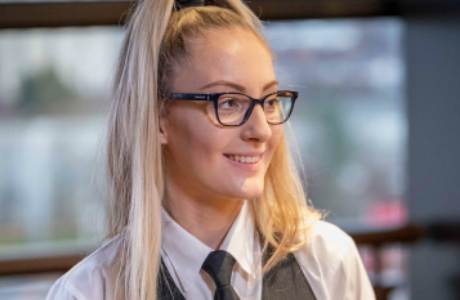 We require candidates who are passionate about customer service, to serve and present beverages quickly and efficiently meeting our standards, ensuring satisfaction to produce high quality performance in a demanding environment. All candidates must be at least 18 years of age. It would be beneficial to have previous experience working in a bar. All candidates must live within daily travelling distance of Old Trafford Stadium. At Old Trafford every position is important, on the field and off it. 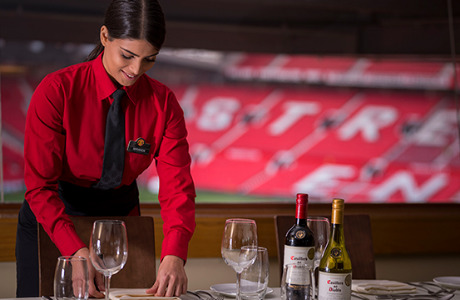 Every person has a part to play in the club's success and our Catering Department are now looking to recruit new matchday staff in all types of roles. Everything from waiters and At Old Trafford every position is important, on the field and off it. 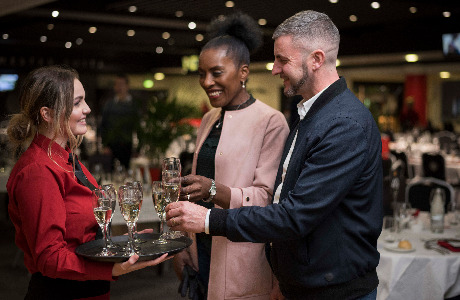 Every person has a part to play in the club's success and our Catering Department are now looking to recruit new matchday staff in all types of roles. Everything from waiters and kiosk staff to chefs and hospitality Managers. So if you'd like to work at a world famous venue and think you've got what it takes to join one of the world's biggest football teams, we want to hear from you. We are looking for committed individuals that can come to work correctly dressed and well presented. That are happy to work in a customer service environment with good communication skills and a good command of English.If you think you have the required skills to add to our strong off the pitch team please apply today! Parking is available for all staff at Old Trafford. A regular service operates from Bury in North Manchester, Altrincham (South Manchester), and from Central Manchester with a connecting service to Salford Quays and Eccles. The Old Trafford Metrolink station is 5-10 minutes walk to the stadium. Inter City and local services operate to both Manchester Piccadilly and Manchester Victoria stations. Each station is linked to the Metrolink Tram Service. 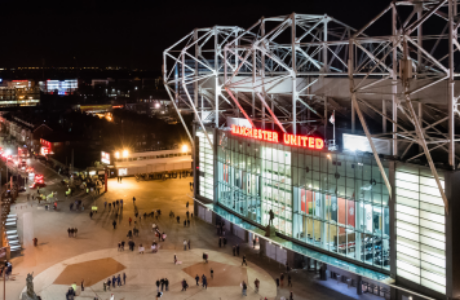 Old Trafford Metrolink station is on the Manchester-Altrincham line, catch the tram service for Altrincham and alight at the Old Trafford stop which is 5-10 minutes walk to the stadium. 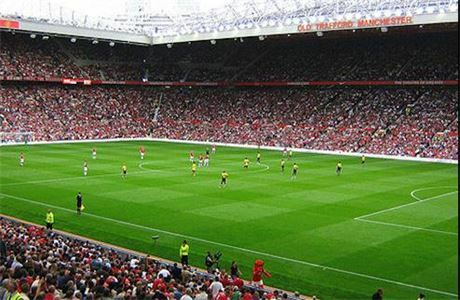 Old Trafford is 3.1 miles from Manchester City Centre (Piccadilly Gardens). Taxis from Manchester City Centre normally cost in the region of £8-£10. Check before embarking on your journey.